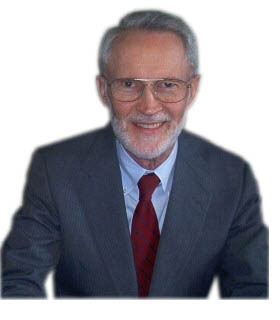 Jerry K. Paul has spent over 30 years studying spirituality from different angles. He sought a simple and direct way of praying and experiencing God's presence. Jerry asked God and Jesus for messages for those of the heart in order to inspire and instruct them as to the best way to commune with Divine Presence and discover that Presence in others. The result is Dwell In Love: Messages for Those of the Heart. 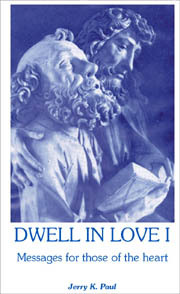 In Dwell In Love, Jerry Paul offers a combination of inspirational messages and Divine answers to some of our most heartfelt questions on life, prayer, and our deepest spiritual nature. As the dedication states, "This is a message given through one child, but given to every child who will receive it into his or her heart." The first section of Dwell In Love I consists of 211 daily inspirational messages which can be used as devotional material, or for focused meditation or prayer. There are many truly inspiring passages urging us to look past the things of earth and give thanks for the beauty of the Spirit of God that dwells in every person. We are also encouraged to persist in prayer, even when those for whom we are praying don't seem to be responding. The second section of Dwell In Love I consists of longer messages in answer to questions asked about healing, service, suffering, forgiveness, sacrifice, praying, coping with aggression, how to care for the sick, the current world situation, etc. A number of questions were asked in order to clarify conflicting interpretations of various spiritual teachings--in particular those about service, sacrifice, and prayer. The main theme of the book is becoming an empty vessel through which God can extend His unconditional love, and instruction was given on how to best prepare oneself to be such a vessel. "In the brightest jewel of a book to come along in many years, author Jerry K. Paul has provided serious seekers after God-ness a wondrous guide. The subtitle tells it all: only from the heart center can one find direct attunement to the Creative Forces - God. Caution: reading this book could change your life forever! I can readily see this book becoming required study for all serious students of spirituality." "In this time of planetary transformation, it is critical for humanity to make the shift from living in the head to living in the heart. Dwell In Love offers beautiful daily reminders and teachings to reinforce our faith in the power of our hearts to heal one another and humanity as a whole."